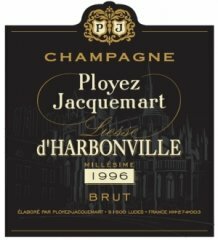 Ployez-Jacquemart is a family run champagne house, established by the husband and wife team of Marcel Ployez and Yvonne Jacquemart in 1930. The essence of Ployez-Jacquemart rests in our continual search for excellence and our remarkable abilities to make truly fine wines. These skills have been passed down through three generations. Deep-seated pride in our product and heritage are the cornerstones of our traditional approach to champagne production. Ours is a house with a passion for superlative wines aimed at those who appreciate the very best that life has to offer. Ployez-Jacquemart is found on the wine lists of gourmet restaurants in France and around the globe, a clear testament to our consistent pursuit of perfection. At Ployez-Jacquemart, we work our own predominantly Pinot Noir and Pinot Meunier vineyards in the Premier and Grand Cru villages of Ludes and Mailly Champagne. Tremendous care is taken while working these vines by hand; if necessary, we will even harvest “unripe” grapes to ensure the overall quality of the harvest. At Ployez-Jacquemart, strict rules are followed each year to ensure that the very best is made of each harvest. We use a blend of grapes from our own Grand Cru vineyards, and produce from a handful of carefully selected wine growers, many of whom we have been working with for 20 years. All the grapes are picked by hand and then sorted by variety, cru and the vineyard where they were grown – this forms the basis for the pressing at the estate. No expense is spared, only the juice from the first pressing is considered of sufficient quality for our use. Laurence Ployez’s meticulous attention to every detail is evident at every stage of the process. Grape musts are left to settle not once but twice before fermentation. The wine is moved frequently from one vat to another to ensure a high level of oxygenation; light filtration is used for wines produced in vats but none at all for those aged in wooden barrels. When it comes to wine making, the use of traditional yeasts, combined with very slow bottle fermentation in our cold 25-meter deep cellars, give our wines extremely fine bubbles. Our mission is to leave the structure of each wine intact, letting the true character and personality of the harvest shine through. When the time comes to disgorge, after up to 12 years in our cellars, only a very minimal “dosage” is added, typically 3-4g/litre. This method helps us to produce aromatic fruity wines with a very clean palate and a long finish while paying close attention to the fine balance between alcohol/acidity and complexity/freshness. 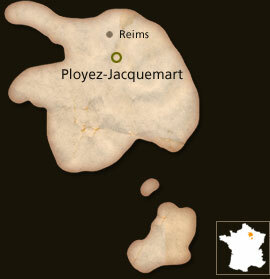 Ployez-Jacquemart blends wines while respecting the typicality of each grape harvest. Our Extra Quality Brut champagne can be tasted following ageing of a minimum of three years. Our Extra Quality Brut is a blend of Premier and Grand Crus with a majority of Pinot Noir and Pinot Meunier grapes (usually 60% black grapes and 40% white grapes). Our black grapes provide greater richness, complexity and roundness. We only use pure Cuvées (first pressings) and the make-up of this blend only exceptionally uses reserve wines when the grape harvest quality is too low. 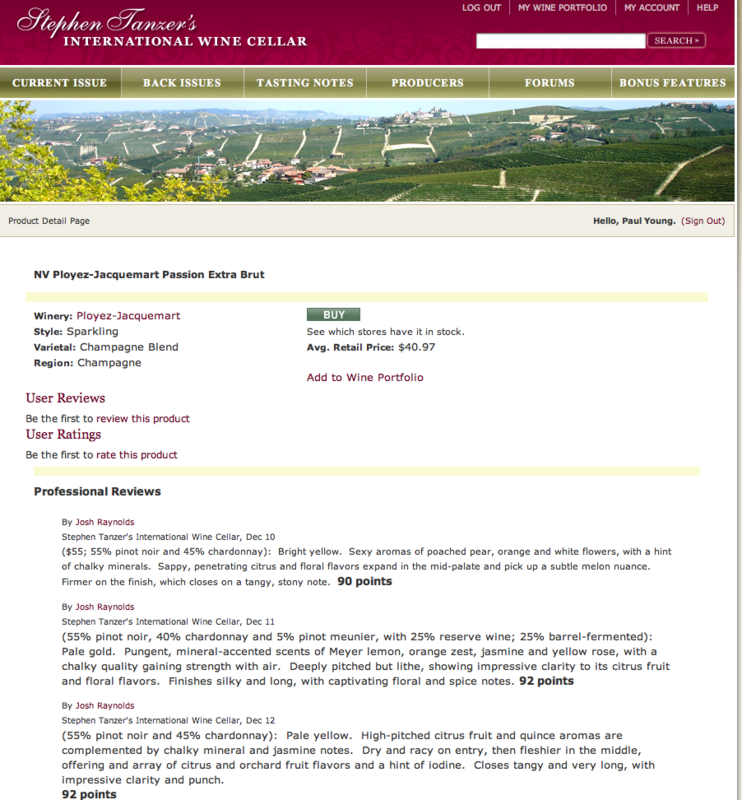 All this explains its very good balance, the extreme freshness of our wines and its very sharp bouquet and palate. This also means we can use low dosages to allow all of the aromas of our Extra Quality Brut to filter through. Our objective is to create a richer yet elegant non-vintage champagne that has spent at least four years maturing in our cellars. 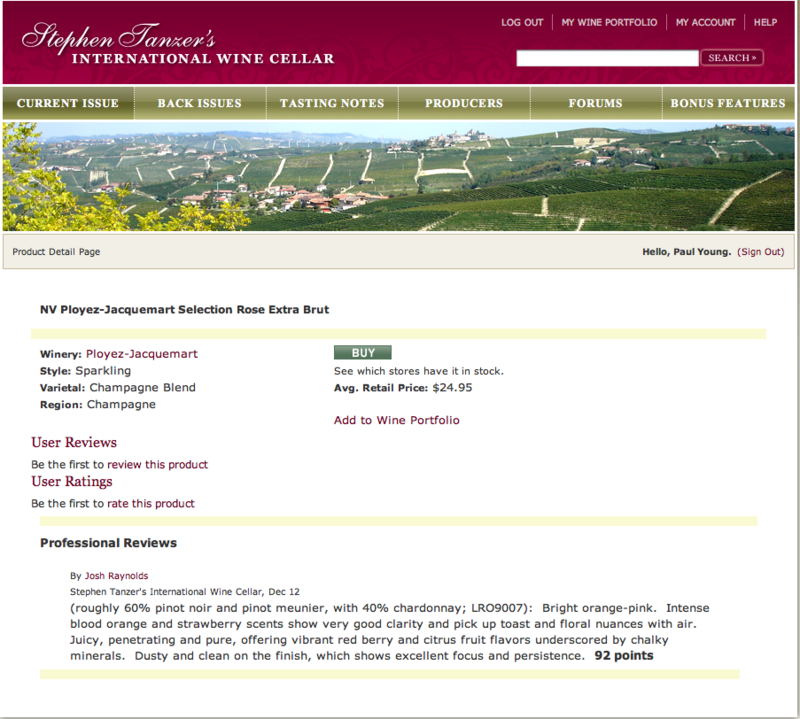 A floral wine with lightly toasted notes, very complex, rich and long but not overly heavy. A sophisticated nose with a sumptuous finish, very elegant. The contact with wood adds structure but does not dominate. A hint of honey on the finish, despite the very low Ultra Brut dosage. Our first EBP is made up of Grand Cru and Premier Cru grapes picked in the 2004 harvest (55 % pinot noir ; 5 % de pinot meunier ; 40 % Chardonnay ). In order to add greater structure a third of the wine is matured in oak barrels and does not undergo malolactic fermentation. To create further complexity we add 25% of older wines. The champagne is cellared on its bottlenecks to limit the wines’ contact with the yeasts in bottle but preserving the advantages of ageing pre disgorgement. All our champagnes are disgorged just before sale in order to maximize their freshness. Beautiful bubbles. Very fresh pink color. Fruity, fresh bouquet. Clear finish and unnoticeable dosage. We only produce Rosé wines in years when the quality of the black grapes is really very good. They are all produced by blending Extra Quality Brut champagne (blending the first pressings of premier grand crus with a majority of black grapes), to which a small amount of red champagne is added. Each harvest provides us with different structures and color intensities. Adding red wine allows us to ensure the color remains stable and precise. It allows us to create an expressive blend delicately combining the expression of red berry aromas and a rich, long finish, while maintaining its intensity. Our red wines are produced in our oak casks, revealing a very light, elegant hint of woodiness. We use very small dosages to allow all of the wine’s fruits and aromas to filter through. Featuring an elegant foam, this champagne reveals a beautiful golden color. The nose is ripe with notes of citrus. The attack is frank, the mouth is full and reveals fantastic intensity. The Dosage Zero, latest product of the House, completes the range by its unique, rare and modern character. It can be tasted after a minimum aging of 5 years. It was made from a blend of Premier and Grand Crus with a slight majority of Chardonnay (usually 52% of white grapes from Bisseuil, Cuis, Ludes, Puisieulx, Taissy, Grauve or Vertus and 48% of red grapes from Mailly and Ludes). Our white grapes provide it with a greater vivacity. As for our entire range, we only use pure cuvées (first presses) and the composition of the blend only rarely uses reserve wines when the harvest does not meet our vintage standards. All these characteristics explain a very good balance, a great freshness of our wines, and very distinct nose and palate. Contrary to the rest of the range, we don’t add any dosage liquor during the disgorging, leaving only 0.25 gr/L of residual sugars to this fresh and dynamic blend. With a nice effervescence, the color is yellow gold. The nose offers subtle roasted notes. Creamy and refined, it has a beautiful finish in the mouth. The Extra Quality Brut Blanc de Blancs, our brand new champagne, has just been released this year to complete our range which had only one Vintage Blanc de Blancs until now. This blend of 100% Chardonnay grapes carefully selected from Bisseuil, Cuis, Ludes, Puisieulx, Taissy, Grauve or Virtues, can be tasted after a minimum aging of 4 years. As for our entire range, we only use pure cuvées (first presses) and the composition of the blend only rarely uses reserve wines when the harvest does not meet our vintage standards. Its low dosage of sugar (about 3 g/L only) also helps give expression to all the flavors of Chardonnay. Fine mousse with a golden yellow colour. The nose is mature with hints of honey, spices and notes of coffee. On the palate it remains fresh and exciting. A vintage with fabulous potential. The Ployez-Jacquemart champagne house always aims to get the best out of each harvest. 2002 was one of those quality crops allowed us to produce elegant, well-balanced wines. The variety and quality of our different chardonnays from premier and grand cru villages such as Cuis, Cramant, Oger, Mesnil sur Oger, Bisseuil, Mailly Champagne and Ludes gave us a beautiful vintage blend with 47% black grapes and 53% white grapes. Like all our vintages, it matured in our cellars for a minimum of six years with a minimum of four years stacked nose-to-punt. We stack it nose-to-punt to reduce contact with the yeasts while maintaining all the benefits of ageing before disgorgement. All of our vintages have recently been disgorged to provide them with even greater freshness. Fine mousse, gold with a sparkle of green and a light amber colour. The nose is voluptuous, rich and mature. The palate is full and generous. The Ployez-Jacquemart champagne house always aims to get the best out of each harvest. 2002 was one of those quality crops allowed us to produce elegant, well-balanced wines. The variety and quality of our different chardonnays from premier and grand cru villages such as Cuis, Cramant, Oger, Mesnil sur Oger, Bisseuil, Mailly Champagne and Ludes gave us a beautiful vintage blanc de blancs (white wine from white grapes) blend. Like all our vintages, it matured in our cellars for a minimum of six years with a minimum of four years stacked nose-to-punt. We stack it nose-to-punt to reduce contact with the yeasts while maintaining all the benefits of aging before disgorgement. All of our vintages have recently been disgorged to provide them with even greater freshness. Highly effervescent bubbles. Golden color. Powerful, rich bouquet. Ripe, pleasant, balanced finish. Discreetly woody. This vintage is the jewel in our range of wines. It deserves particular attention. It is produced using only exceptional grapes with the persistent aim of keeping the character of the vintage harvest. The wine making process is different firstly because it is completely produced in 225-litre casks (2 to 3 wines). The blend is always the same: 70% Chardonnay and 30% Pinot Noir and Pinot Meunier grapes. Primary fermentation takes place in casks. We do not carry out malolactic fermentation, which renders wines with fine, elegant aromas. The wines are simply topped up and racked between harvesting and bottling, which takes place six months after picking. Allowing the wine to work in casks for six months creates a great richness, beautiful structure and complexity in this wine. This blend’s natural acidity, despite a minimum of ten years maturing in our cellars, brings out the year’s quintessence while maintaining exceptional freshness. We always use very small dosages to let the wine express itself! This wine’s structure means it even benefits from decanting, which encourages an explosion of aromas.